I admire Judy Garland. She was an amazing singer and actress, i've seen lots of her movies. She brings light and intrest into them, she has won numerous amounts of awards. She's takes her job seriously, she works hard, and is ambitious. Thats what I admire about her, she seemed to be able to do whatever she set her mind on. She played dorothy in the wizard of oz at the age of 16, she already had an amazing voice then. She was very famous at a young age, and I admire the hard work and dedication of getting her there. She deserves to be there because of it. So this really inspires me, that with hard work I can get far. 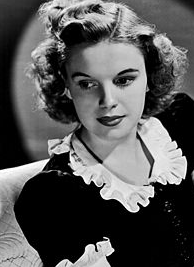 Judy garland died in 1969, because of overdose of drugs. Like a lot of famous stars and singers (elvis, michael) They took drugs, and she took an overdose on june 22. She was amazing and if she were to come back to life somehow, i would love to meet her.